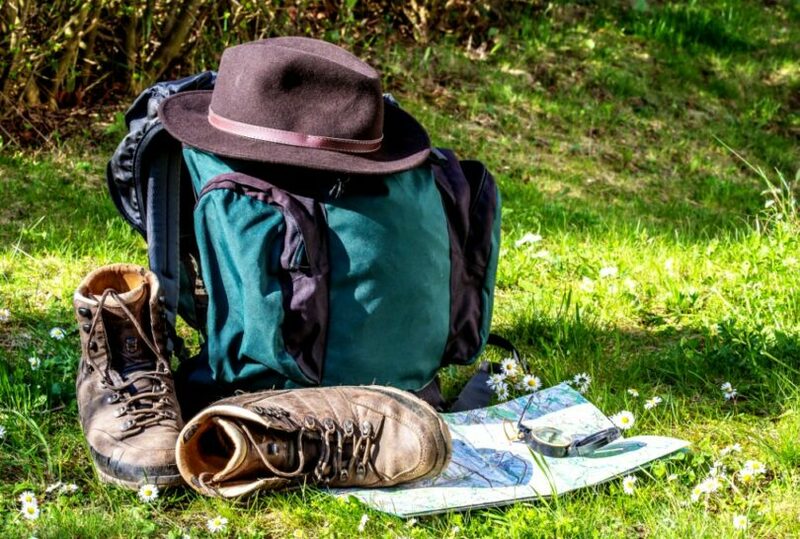 Every survivalist and wilderness enthusiast knows that hiking backpacks are excellent for camping, hiking and spending a couple of days outdoors, but what about travel backpacks? Urban surroundings require almost entirely different approach, which means that a different type of backpack is also required. Why not use just a regular hiking backpack? 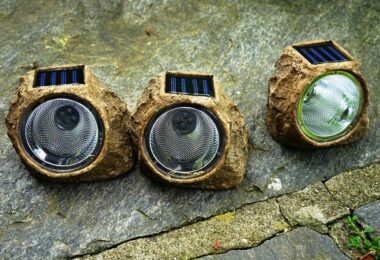 The answer is rather simple: you don’t have the same needs in the wilderness as you do in urban surroundings. 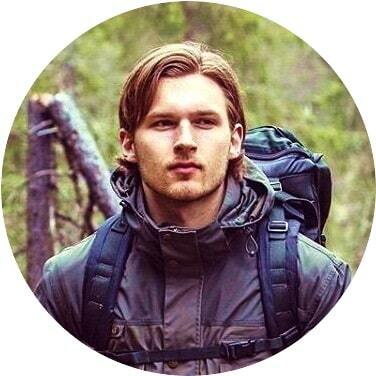 For example: regular hiking backpack has too much straps and that will only make everything you need and carry around while traveling, less accessible. To give you more choices, see our article on the different types of backpacks for your needs. What criteria to follow and how to make sure that you have successfully chosen the best travel backpack to suit your preferences and needs? We are presenting our top picks to make your search easier so take a look at some of the best travel backpacks we have chosen for your convenience. Osprey Farpoint is one of the most affordable, but still one of the top rated backpacks you can treat yourself with. The first thing you will notice once you take off to your backpacking adventure is its ergonomic design. You won’t practically feel that you are wearing something on your back even though your travel backpack is stuffed with everything you need for the road. In case you want to have your backpack all the time by your side without having to check it in as a luggage at the airport, you now can as this backpack is airplane compliant. You can also with no problems carry it on your back without too much pressure for walking more than 3 miles without getting tired to soon. When it comes to design and aesthetics, this travel backpack is good looking, although it may seem as if it there is nothing special about it – this is only at first sight as this backpack is almost perfect. The main front compartment has a big zipper that unzips all the way across the backpack from both sides, so you can maximally use the space available. You can carry more than 10 kilograms without getting tired or uncomfortable as this backpack also has a great hip support; you can tie the belt around your hips for additional support and without discomfort. When it comes to safety, all zippers can be locked with safe lock easily and simply, so your backpack will be theft-proofed and secured. Osprey Farpoint 40 has additional storage space so you could easily store your clothes in the main compartment and use other smaller compartments for storing papers, documents, money and even your laptop and camera. The shoulder straps are, as well as the other parts of this travel backpack, made to be ergonomic and fit perfectly without feeling uncomfortable wearing the backpack. The backpack is easily adjustable to two different sizes. It is practically almost perfect! The backpack is available at the price under 200$ and you can even find it at discounts for far less money. Pros: Ergonomic design, easily adjustable, can be carried into any airplane instead of reporting your backpack as luggage. You can put everything you need even for 3 weeks long trips and you will still be able to carry it around without getting tired too soon. Cons: It seems that the fact that this travel backpack is made in china, is a quite deal breaker for some people. Despite of its origin and bad reputation of products with “Made in China” tags, this travel backpack is pretty reliable and well designed. Kelty Redwing travel backpack is another one of top rated backpacks for travel purposes, although it seems that Osprey Farpoint 40 is slightly better due to some minor omissions even though the manufacturer is the same. First of several oversights is a lack of one small but handy feature you wouldn’t probably think of. It seems that manufacturers didn’t think of adding this simple feature either. Kelty Redwing doesn’t have hole in the zipper locks so it is practically impossible to use safe lock of any kind to secure your stuff and make sure no one will try to open your backpack without you noticing. On the other hand, other aspects of this backpack’s design tell a different story – the story about how Kelty redwing might become your best travel buddy. You can pack up to 40 kilograms of everything you want and as this backpack is also built to make you feel comfortable, you will certainly be able to experience that comfort. 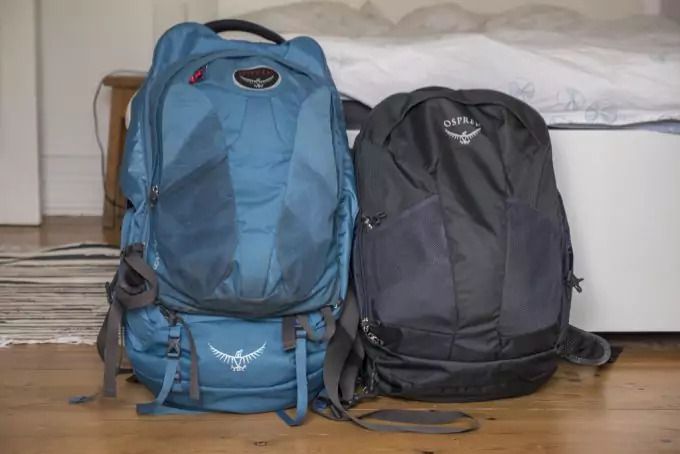 Another thing that you might like is that you won’t have to check your bag in as a luggage – just as Osprey travel backpack; you can carry Kelty Redwit anywhere with you, including taxis, airplanes and public transportation without the feeling of discomfort. What you might like the best is the fact that compartments are greatly organized and made to make your stuff easily accessible and available any time you need something. There are several small compartments featuring U–zips, especially designed for increased accessibility. As there are more compartments, you can travel for weeks constantly moving without the need to unpack and pack again as everything you are carrying can be easily sorted to be accessible. For extra support and to make carrying your things a lot easier, you have removable hip belt. Another removable feature added is a plastic backup for the main compartment. After you pack a great deal of all sorts of things, including camera, laptop and clothes for one week, you will still have enough space left. Pros: Massive storage space, hip strap for extra support and ergonomically designed for carrying heavy loads on long tracks. Easy to carry around with nicely organized compartments. Cons: Although this is a minor oversight, there are no holes in the zip locks, so you can’t actually use a safe lock on it. Users faithful to this manufacturer claim that previous Kelty model was far better. SwissGear is a fairly good brand, so if you have ever used any of their products you already know that there is nothing less to expect than high quality travel gear. 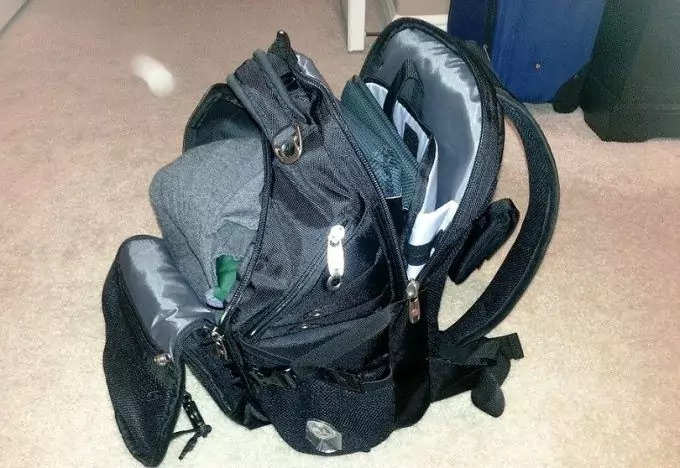 Although at first this backpack may look like there is just not enough room for everything to fit it, you need to know that this presumption is far from the actual truth. Maybe the biggest advantage of this backpack is that you can fit clothes, laptop and dozens of other things that will be enough for weeks of travelling; and that means that you can really carry lots of things in it and keep them safely stored. Maybe you will be able to judge the storage space better if you graphically imagine fitting 5 laptops in SwissGear travel backpack – yes! Another god thing about this travel backpack is its affordability as you will really have some difficulties finding a good, comfortable and reliable backpack at the price of little over 50$. 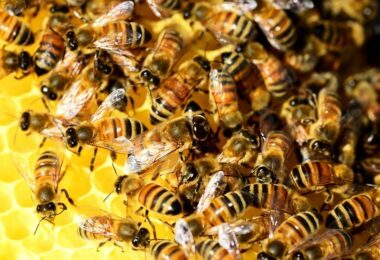 It is pretty cost-effective and you are getting more than you have paid for, which is perfect if your budget is limited. Some pretty neat additions you are getting with this backpack are many separated pockets for storing different items, both external and internal, so you can organize your things more efficiently and far more effectively, having everything you need easily accessible, which is one of the top criteria we were choosing travel backpacks by. 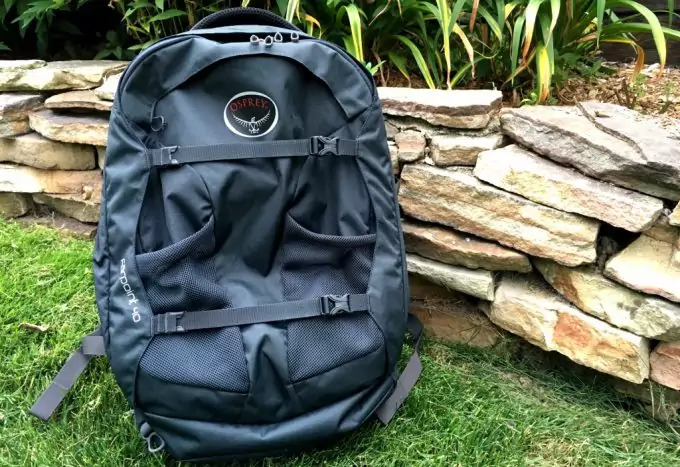 Another criterion we find as important when it comes to rating the best travel backpacks is having an ergonomically designed backpack and as this backpack has an air cushion on the back for improved comfort, we decided to give it a go as one of the best and the most affordable backpacks available on the market. There are many satisfied customers and users praising SwissGear backpack for its comfort, design and large storage space, but there are many claiming that not all SwissGear backpacks, although being the same model, will be delivered to you in form expected. What does this even mean? Apparently, some customers did get their SwissGear with external pockets and extra storage space in from of pockets, along with having a pocket for storing water, while the others got backpacks without external pockets regardless of ordering the same model. This is rather odd, but if we forget about this embarrassing and unexplainable case, we could actually say that SwissGear SmartCase is a good model. One more thing to know before you decide to order one for yourself or move onto the next backpack on our list is why this model is called SmartCase. There is a feature called smart case that actually allows you to open the backpack easily and quickly when on the airport so that your baggage can be scanned without having to unpack the content you are carrying. 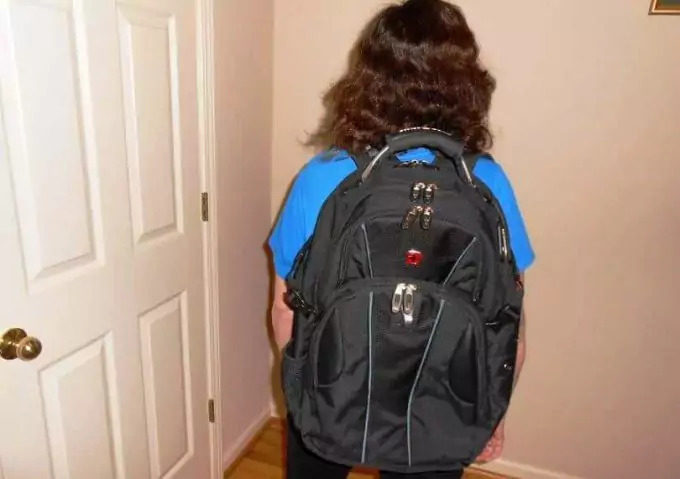 Also, just like with other backpacks, you don’t have to report this backpack as a luggage on airplanes and buses as you can carry it around with no problem or discomfort. Pros: Ergonomically designed, solid storage space, affordable and good looking. Additional external pockets for extended accessibility. Cons: Why wouldn’t we want to get what we ordered? That entire confusion with getting differently designed backpack from the one you saw on the picture online is rather absurd. We’ve decided to go beyond finding affordable backpack with solid good quality and reliable despite of having low price, but we have stumbled upon insanely good offer that will thrill anyone buying on low budget. Now, there is one interesting feature added here: apparently this backpack is extremely compact as you can fit it in a pocket! Yes! You zip it up and you can carry it in a pocket, you zip it out and you have got yourself a backpack. 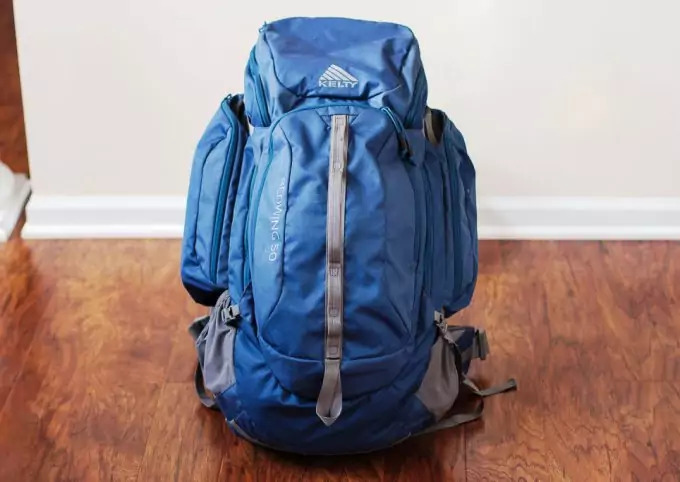 Now, this feature practically means nothing if you just want to carry your things around while traveling, but if you are planning on carrying something back from your journey and you need a backup backpack, this solution just might be perfect. Now when it comes to capacity, this backpack has probably more than you need as you can fit 30 kg of all sorts of things in it; whatever you need, you can carry: clothes, camera, laptop, documents, another backpack maybe – you will even have enough room to bring something back from the trip. It is also well designed to be durable and waterproof as it is made of high quality nylon fabric that is meant to protect your things from being soaked in water. Multiple compartments and massive storage space will also make your packing easier and make everything you are carrying easily accessible and at the tip of your fingers any time you need your things. Additional external pockets are good for carrying various accessories and there is one pocket available for carrying water bottles. We can categorize this backpack as trendy as you can choose between seven different colors, with each looking pretty good and attractive. The only downfall when compared with other models that we have previously mentioned is that this backpack lacks the moment where manufacturers think about how having an ergonomically designed backpack is more than important. But, to stress out the bulletproof fact: you really get what you pay for and for 20$, you probably won’t find a better backpack. Pros: Extremely affordable backpack with large storage space and additional storage pockets for extended accessibility. Cons: The part where it is very important to have maximally comfortable travel backpack is not well thought through as we might wish it was. We like the idea of giving a chance to one great looking backpack, although there weren’t many feedbacks from users and buyers. The ones we stumbled upon claim that this backpack is pretty amazing. By the looks of it, if we are to judge by aesthetics, these backpacks is really the best looking backpack among all the models we have choose so far. That did buy our intention, but is this enough? Of course not! We need more great features to convince us to buy this backpack as no one wants to spend over 150$ experimenting with a backpack just because it looks good. Actually, this backpack is more than just good looks. It appears that this backpack is the master of organizing your traveling items as there are so many different compartments, each designed to make your things more accessible and neatly packed for your comfort. Besides from main pocket that fits everything you need and has more space left, you will get one front easy accessible panel and many internal and external pockets for additional easy-to-access storage space. 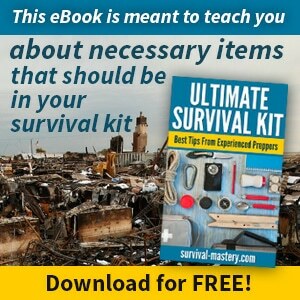 You can fit everything you need and probably something you won’t ever need to use. As an additional feature for more extra storage, you also get one neatly designed bottom pocket that is great for storing sleeping bag or shoes – how great is that? AS we really care about having an ergonomically made travel backpack, this model is also chosen for its unquestionable comfort because regardless of tones of things you are carrying you will feel the weight pressing you as every pocket is designed with intention to divide weight equally for maximal comfort. Straps are comfortable so it won’t cut your shoulders or neck even if carried around for hours and hours. Fabric used for manufacturing is high quality and durable, along with being resistant to external factors so you are certain that your investment is good investment and not money wasted. Pros: Ergonomically made and great looking, high quality fabric and massive storage space. You will probably fall for it the moment you unpack it and put it on your back for the first time. Cons: Day-pack cannot be attached to straps although manufacturer claims the opposite. This is hardly a deal breaker, unless you really like or need day-pack attached to your backpack. 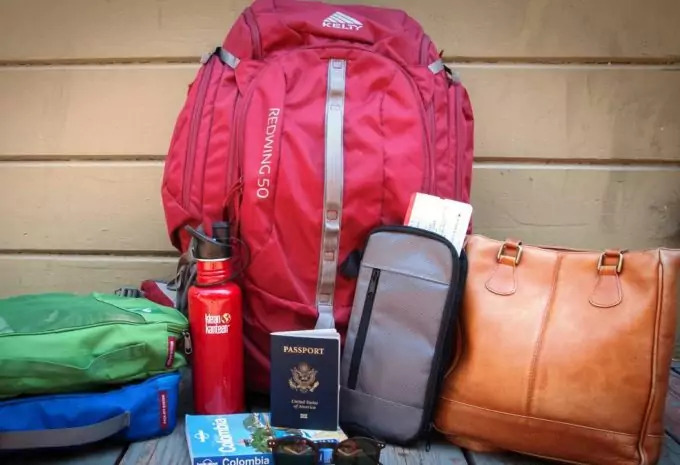 Choosing the best of the best travel backpacks is not as easy and that is why we had to put more than one travel backpacks on our top picks list. Some of the main criteria we were following were: choosing ergonomically designed and manufactured backpacks, good looking models that will also be aesthetically appealing and trendy, massive storage space and few additional features here and there, including airplane friendly backpacks that doesn’t have to be sent to the luggage department, so you can have your backpack with you all the time instead. Do you have a lot of gadgets that need charging? See our article reviews of the best solar backpacks for more options. 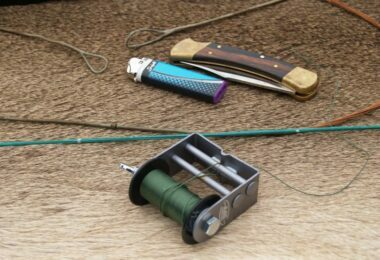 The price was also one of the most important features so we have something for every pocket without taking off quality points. When choosing your backpack think about how much money are you willing to spend as well as how important is to pick the best backpacking companion that will endure many trips and serve you well as you travel, making your trips easier and more comfortable. Reconsider your options and choose the best travel backpack that matches your needs. Here’s our top picks for the best hiking backpacks to give you more choices on the go – do read it.